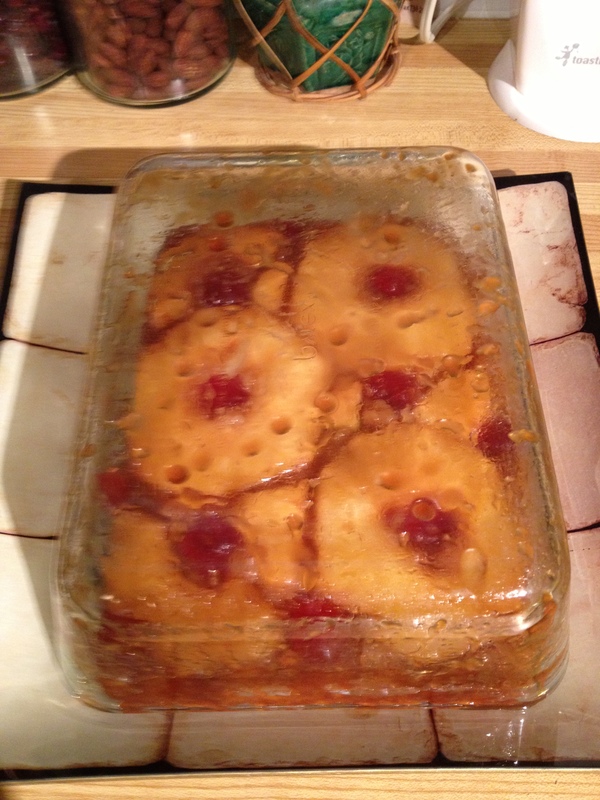 This works with other fruits of course, but I love the classic combination of pineapple and caramel. This adaptation has a Caribbean twist in honour of a Jamaican holiday we took, but you can follow the original if you don’t want the coconut element. Any way you cut it, this is sure to please! Sift and mix dry ingredients, including sugar, in a medium bowl. Set aside. 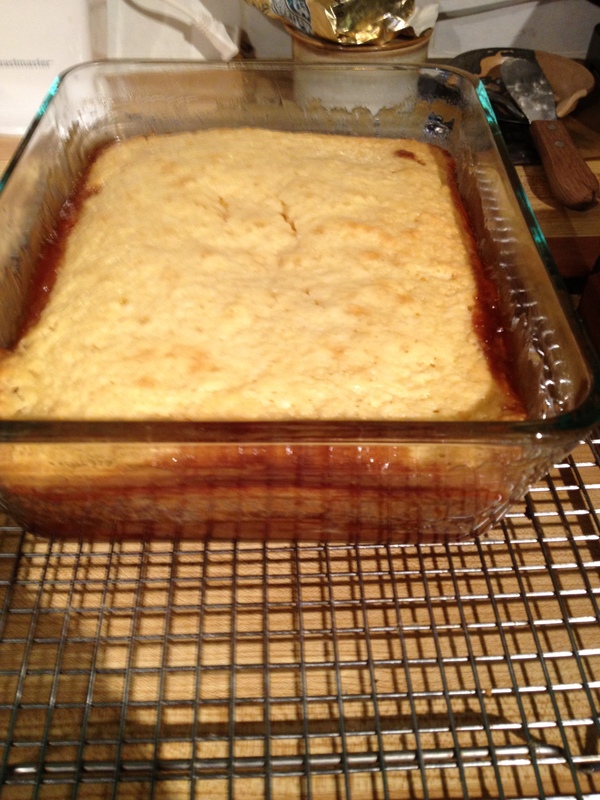 Preheat the oven to 350 F / 160 C.
Put the 6 tbsp butter in the bottom of a 9 x 13 /22 x 33 cm pan (glass works best). Place the pan in the oven to melt the butter. 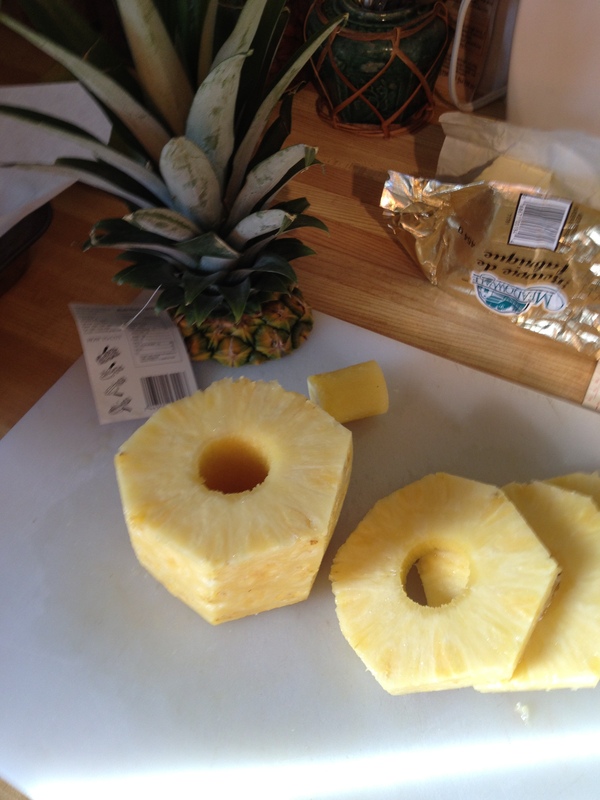 Meanwhile, core and slice the pineapple. 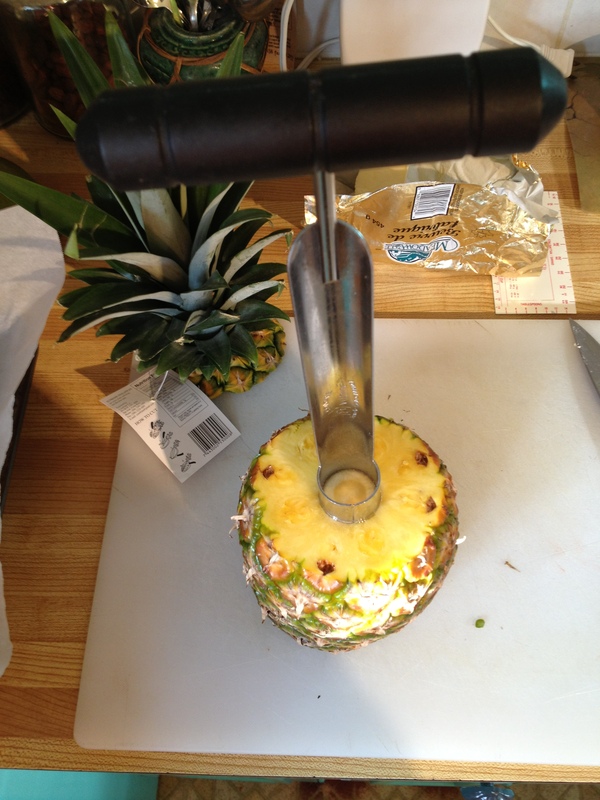 I love my pineapple corer! If you don’t have one, you can make half slice, but it’s worth having this gizmo, I can tell you. Mix the 3/4 cup brown sugar in the pan with the melted butter. Place the fruit over the sugar mixture in an attractive pattern, as this will be the top of the cake when you present it. * If you are using peach or apricot halves, remember to place them round side down in the pan. Prepare the cake: In a large bowl or standing mixer, blend the eggs, coconut milk and vanilla. Gradually add the dry ingredients and mix until creamy. Fold in the melted butter. Pour batter gently over fruit in pan and smooth till even. Bake for 50 minutes or until cake springs back in centre when touched.